Kathmandu Nepal Tour Package 3 days 2 nights takes you to all the must-visit places in Kathmandu valley. We will visit UNESCO World Heritage Sites including Pashupatinath Temple, Kathmandu Durbar Square, Boudhanath Stupa, Swayambhunath Stupa, Patan Durbar Square,Bhaktapur Durbar Square as well as Nagarkot in this Kathmandu Nepal Tour Package 3 days 2 nights. 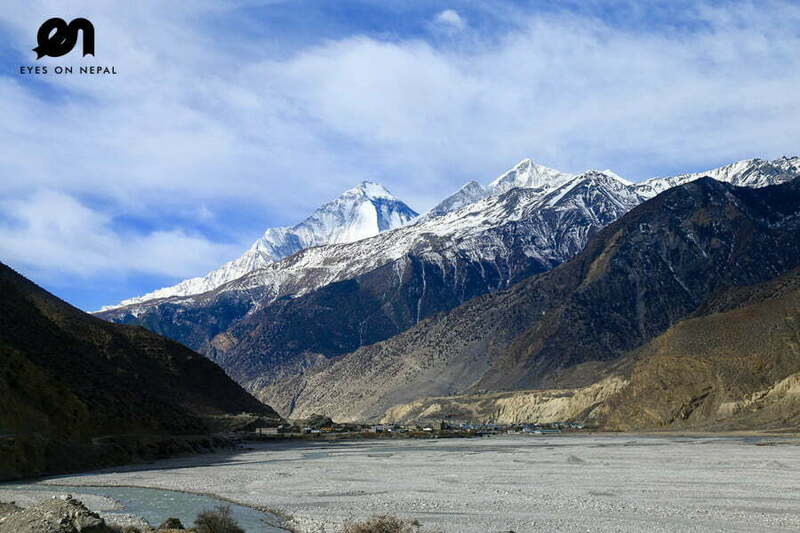 We are sure that no other tour operators in Nepal run the same tour as Eyes On Nepal. Kathmandu Nepal Tour Package 3 days 2 nights is our unique program targeted to offer you all the attractions of Kathmandu Valley in shortest possible time. Highlights: Welcome to Nepal! Dinner with Nepalese traditional cultural dance performances. 02.00 pm: Arrive at Kathmandu Airport. Pick up and transfer to selected hotel. 03.00 pm: Check in hotel. Welcome Drink. Rest & Relax. 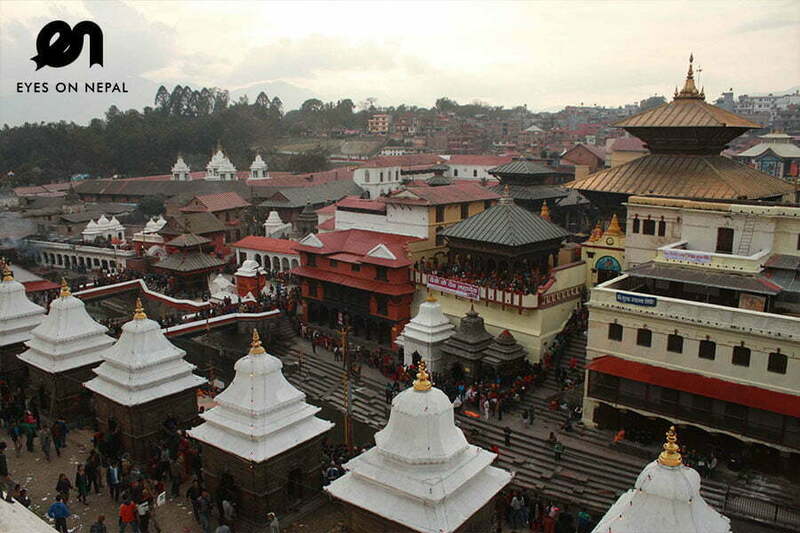 05.00 pm: Visit Pashupatinath Temple – The most sacred temple of Hindu Lord Shiva in the world. NOTE: UNESCO WORLD HERITAGE SITE. 06.00 pm: Visit Boudhanath Stupa – The largest stupa in Nepal and the holiest Tibetan Buddhist temple outside Tibet. NOTE: UNESCO WORLD HERITAGE SITE..
07.30 Pm: Dinner in Gokarna House Restaurant with Nepalese traditional cultural dance performances. 09.00pm: Return to the hotel and free & easy. 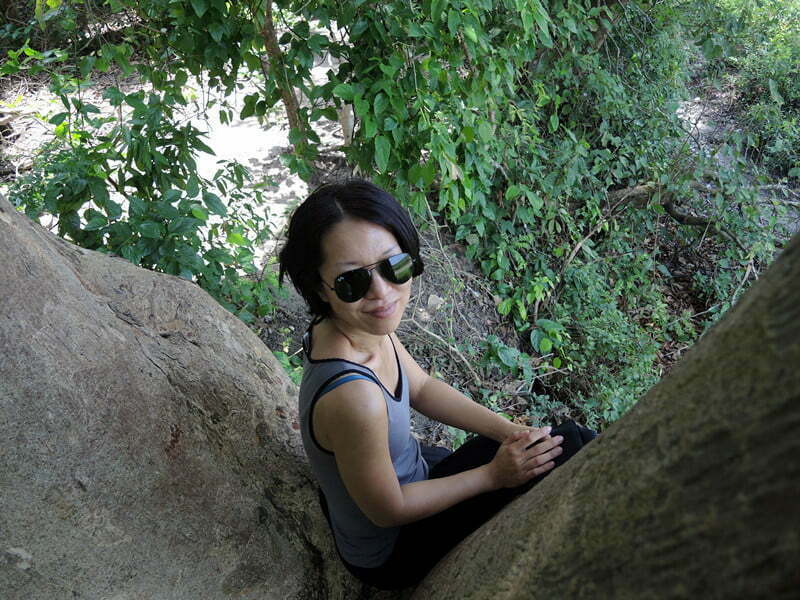 Highlights: Visit UNESCO World Heritage Sites, sunset tour of Mt. Everest. 08.00 am: Breakfast in hotel. Monkey Temple (Swayambhunath) – one of the oldest Buddhist Stupa in Valley. 01.00 pm: Lunch at Patan Restaurant. 02.00 pm: After lunch, we will visit: Bhaktapur Durbar Square. 04.00 pm: Drive to Nagarkot for sunset tour. 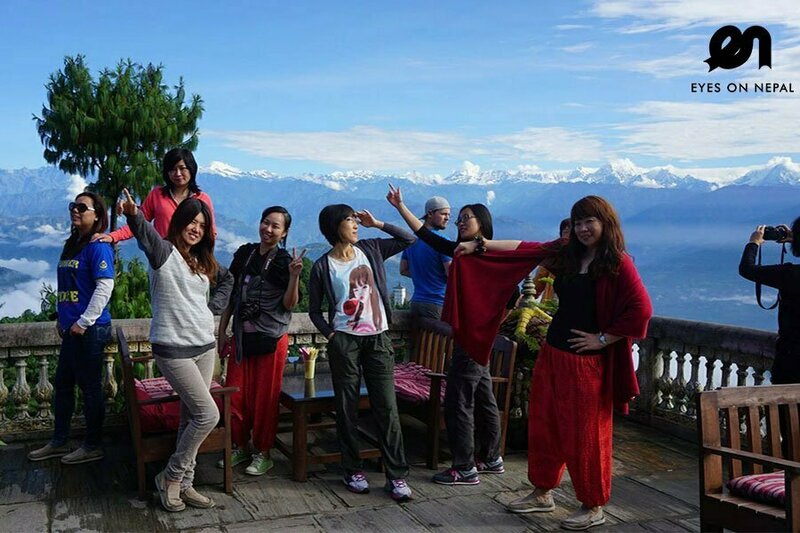 06.00 pm: Arrive in Nagarkot for Nagarkot Sunset Tour. 07.00 pm: Back at hotel. 07.30 pm: Pick up from hotel for dinner. 07.45 pm: Dinner at Muktinath Restaurant. 08.45 pm: Back to Hotel. Rest and Relax. 1 to 2 hours for the Visa on Arrival application and approval in the airport.